It’s a good day to be a support main. 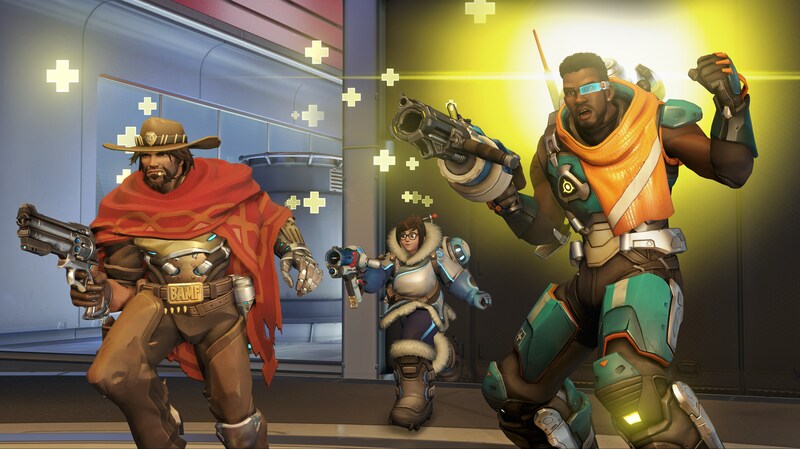 Baptiste, Overwatch’s 30th hero, joins live servers today along with a host of hero tweaks aimed to alter the balance of the game. The full notes are now available for today’s huge patch. Baptiste is a support hero who heals his teammates and can deal damage with a three-burst Biotic Launcher. Baptiste has two game-changing abilities in his kit. His Immortality Field can be dropped when allies are danger; the field prevents allies from falling below a certain percentage of health. While the field’s “drone” can be attacked and eliminated, it’s a powerful counter to many other heroes’ ultimate abilities. Baptiste’s own ultimate is the Amplification Matrix, which doubles the damage or healing output of any projectile. For now, Baptiste is only available in Quick Play, Arcade, and custom game modes. There is normally a week-long period in which new heroes are not available in Competitive (Ranked) mode, and Baptiste is no different. This is normally to give players a chance to get comfortable with the character and for all bugs to be worked out. A lot of other changes are going straight to all modes, including Competitive, however. For a full list of changes in the patch, check out our story here.